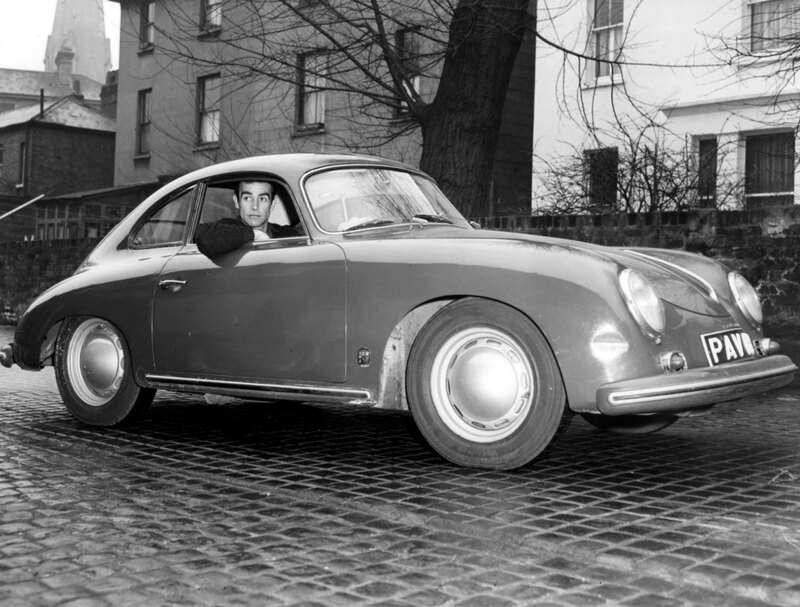 Sean Connery is pictured below in his Porsche 356 in 1964 driving through the cobblestone streets of Wavel Mews, in West Hampstead, London, England. Sean Connery was considered to be the coolest actor on earth since he had recently released Dr. No (1962), From Russia With Love (1963), and Goldfinger (1964). In an ironic twist, James Bond's character drove an Aston Martin, while the man who played the James Bond character, ironically drove a Porsche 356, which, of course, was the predecessor to the Porsche 911. Great photo, but it wasn't taken in Edinburgh. It was outside his Mews house in West Hampstead... Wavel Mews.